Entertaining your American Pit Bull Terrier with dog agility training is an excellent activity that can be fun for both you and your Pit. It is something that both of you can do together that will strengthen the dog-owner bond. Pit Bull agility training is one of the more advanced types of dog training, but it is certainly quite enjoyable. Dog agility is an activity that has become very popular in England, Australia, and the United States. It consists of the main event with multiple dog courses set up to compete in. All of the courses contain roughly 26 obstacles. In order for your dog to win, he must finish the course without any faults in the fastest time. This is an activity that certainly takes patience and a lot of practice. Many of the obstacles that are included agility courses need extensive training in order to master. There are two basic types of courses, jumping courses and agility courses. Jumping courses are full of obstacles which your dog must clear, such as jumps which your dog has to make it over without knocking down, and weaves which your dog must stay in until the very end. In dog agility courses there are contact points on the obstacles which your dog must touch with his paws. Dog clubs do not allow puppies under the age of one year to participate in agility exercises. A great many agility enthusiasts actually own their own equipment so that they can begin training with their dog at a much earlier time. Jax is a company which makes training obstacles in case you are interested in doing this. 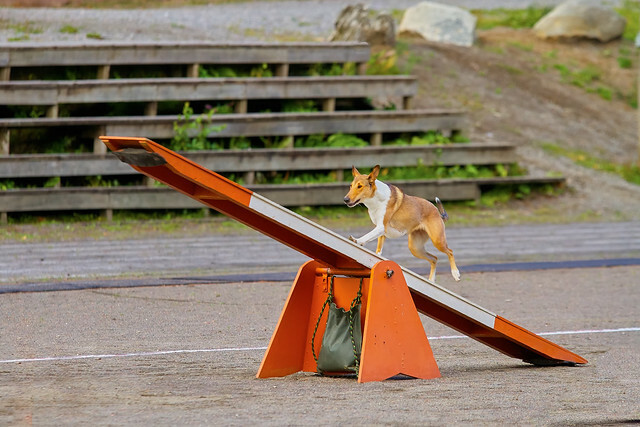 Much of your dog's agility training must be done before you enter the very first show and your dog should have no trouble running the entire course. It is an extremely exciting and challenging activity and can certainly improve the bond between you and your best friend. 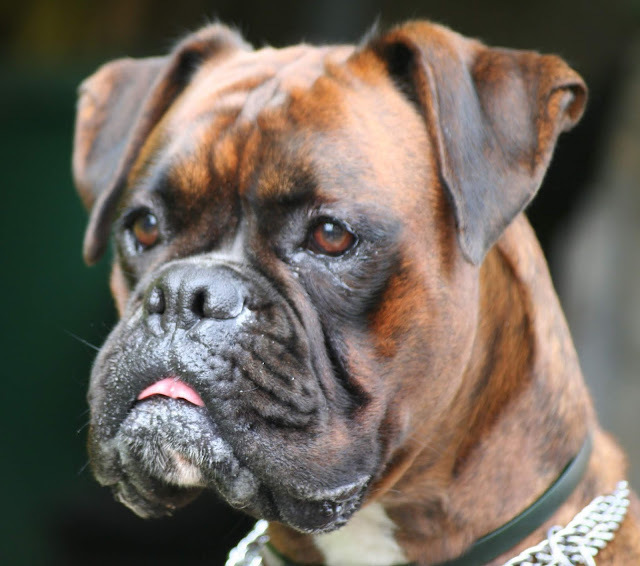 The Boxer is an amazing dog and is extremely playful, energetic and definitely a handful (in a good way of course). This breed of dog is extremely loyal and when a friendship is built it lasts forever. The boxer is unique and not for everyone if you are a new owner of a boxer you have to be aware that they need a lot of attention and training. They are extremely intelligent dogs, which can work to your advantage when it comes to training, but then again can be very disadvantageous, as they know how to use their intelligence to get what they want. Boxer dog training consists of training them up to become guard dogs; this is their main profession if you like. People who do not know boxers tend to assume that they are naturally aggressive when they are in fact the opposite and could not be more playful than any other dog! Because of their good stature and aggressive look, people are automatically assuming this dog could do more harm than good. If your boxer is not trained properly then he just might. Because of their intelligence, Boxers can be very stubborn but when it comes to training a boxer, it can be very helpful. Owners must remember that there will be times when you ask him to do something and he’s going to look you in the face and basically tell you where to go, he knows he is supposed to do what you are telling him but he decides he can't be bothered and doesn’t. The main thing you have to remember in these circumstances is to be patient. From as early as 6 weeks old you should start your boxer dog training as this will help him when he grows up, socialize him, play with him and teach him, but do it in an exciting way and he is more likely to listen. The main aspect of training for a boxer is socialization. Boxers can be very friendly dogs but they need to be trained to become one. They need to get accustomed to other dogs and people. The best way to do this is training classes. That way your boxer will be trained alongside other dogs. When your boxer reaches 13-16 weeks old it's time for some serious boxer dog training, this is the stage where he is going to test for dominance, he will nip and try to show you that he is the more dominant one, mainly by not listening to you. You have to be a strong leader at this time; you must show him that bad behaviours will not be tolerated no matter what! Boxers are genuinely a lovable family dog and would make a proud pet for anyone, they are dogs that prefer to sit on your lap for a cuddle than anything else. Train your boxer early with some serious boxer dog training and you can be assured you will have a stunning, loyal family friend! Are you bored with your dog who knows only three commands? Don't fret, my friend! You could probably use a little jazz. Specific command words are not that difficult and important. The thing here should be the consistency of its usage. My friend, Wiki, here can give you a bit of a blast. Some of these certain commands are accepted as standard, while others are commonly used. 1.) Sit – it is a mono-syllabic word that requires a bit of an authentic tone that would require for your dog to be in a sitting position. 2.) Down – just like #1, this also requires an abrupt tone for the dog to be typically down when its elbows (front feet) and hocks (rear legs) are touching the ground or floor. 3.) Heel – The dog's head or shoulder is parallel to the handler's leg on the left side of the handler. 4.) Come or Here – (referred to as the recall) you just really got to call your dog which equates the whole command. 1.) Stop – Wiki says that the dog commanded will simply stop whatever it is doing, and lie down on command no matter how far it is from its keeper is a dog that can be taken anywhere. Some handlers use the German word PLATZ (related to place, i.e. stay in position) for this action. A little bit demanding, but who knows when your dogs need it. 2.) Back up – keepers of large dogs or dogs with a reputation (a must quote!) for aggressiveness can make strangers more comfortable by teaching the dog to back up on command. This command might probably be very useful for police dogs. 3.) Growl – now this is what you guys should be talking about. In case you are bullied, this is the inverse of backing up. Some owners teach non-aggressive dogs to growl on a subtle command –not the word "growl", just usually a small hand gesture –as a way of letting strangers know that you and your dog value being left alone. 4.) Steady – to keep nearby. The dog can walk free, but not dash off. This can be very valuable to sport dogs, and/or during competitions. 5.) Stand – on this command, the dog stands still. Funny how this seems so advanced; it is very valuable for "grooming". Many dogs are groomed frequently, that they need to stand quietly during the process. You can also use this when you want your dog to wait for you at the park while lining up for an espresso at Starbucks seven in the morning. 6.) Go to bed, kennel, or get in – this command directs the dog to go to its bed, and remain there unreleased. This is somehow useful to keep a dog out from underfoot and safe in a busy or complicated situation. – to release something they just picked up; very useful when they're about to chew your sandals off. 8.) Leave it – an adjunction to Drop, directing the dog NOT to touch an item. 9.) Take it – the dog leaves the desired object untouched until given this command. 10.) Give – a command teaching the dog to be generous, and/or releasing something your pet has placed in his mouth on your hand. 11.) Speak – another way of saying "to bark ONLY when I say so". 12.) Rollover – can be one of the basic commands; this is when the dog lies down, roll over, and stand back up. Quite a bit of an exercise. 13.) Attack – if partnered with the command "Growl", you (the owner) will be the king of your neighborhood, though mostly used only on Police Dogs. Common commands are either "Attack" or "Sick'em". 14.) Fetch – can also be one of the basic commands where the dog retrieves a thrown object, bringing it back to the one who threw it, a nice strategy for luring guard dogs (especially when they're obsessed with balls). Is your dog timid around people or other dogs? Is your dog sensitive to sounds? Agility training can provide the environment and structure to build confidence in your dog. Agility classes are a great place for people to learn about the sport and learn how to train, but the timid dog may take a long time before he is ready to venture from under your chair or off your lap. A timid or shy dog can only learn inside their comfort zone. So, training must begin where they feel safe and behaviors must be taught in very small increments. Home will probably be the best place to train and have learning take place for your dog. So, how do you train at home? You will need guidelines and equipment. There is a multitude of websites that can give you information on agility training. There are also books and videos that will give details and visual aids and lesson plans for beginners thru expert levels. There is a variety of equipment that is useful and helpful to have at home. Equipment recommendations are based on your available space and location of training. Do you have a large yard that will hold 10 obstacles? Do you have a small yard where you will need setup equipment and then tear down before you can set up again? Will you be training in your garage or basement, or as some agility addicts, in your living room. For the timid dogs make sure your equipment is safe and sturdy. The pause table is a good place to begin your agility training. A 12” high pause table, with adjustable legs for later use, is a good starting place for all size dogs. Remember with your shy dog, set up your table in an area that is very familiar to your dog. If your dog barks at anything new, just leave your pause table in your house or yard for several days, let your dog inspect and smell it on his own or with a little coaxing, but don’t push to fast, remember baby steps with the insecure dog. With treats in a dish or his favorite toy placed on the table encourage your dog to get up on the table. This may take more than one lesson, be patient. If your timid dog loses interest in food or toys when you attempt something new, trying holding him and you sit on the table. If your dog is too big to hold, have him on a leash and you sit on the table. If he backs away coax him, only treat or reward him when he comes to you, never when he’s pulling back away from you or the table. Eventually, you want your dog to be able to jump on the table with your cue word, “Table”, “Box”, “Kennel”, whatever word you use, Stay on the table as you back away and then Come when you call. Build your distance slowly so that your dog is not pushed too soon. From Pause Table to Contact Trainer is a nice transition for a shy dog. A Contact Trainer comes in different designs. We recommend a 3-Piece Contact Trainer that has one mini A-frame side, a Pause Table, and then a mini Dog-walk side. Your dog can Sit on the table and then be coaxed down the A-frame side or the Dog-walk side. Just remember with the shy dog, training is done in increments, slowly and comfortably, with a little push to stretch him, but not enough to overwhelm him to cause a shutdown. You can follow the above techniques by introducing new obstacles as your dog is able to succeed. As your dog succeeds in each new piece of equipment you will see his confidence grow. If you are looking to train your dog you might consider using the 'clicker training' method, which has recently become popular amongst dog trainers all over the country. In this method, the trainer has to make use of a clicker, a tiny plastic box with a metal button which makes a distinctive click sound once the button has been pressed. The training method is simple and is in many ways parallel to the positive training method. Here is what you have to do. Decide on a certain behavior which you want to teach or reinforce your dog to do. A number of behaviors/actions come naturally to the dog like sitting, eating, standing, barking etc. and these need just to be reinforced so that your dog knows when you want him to do what. Various other actions like acting dead, shaking hands, rolling over etc. do not come naturally to the dog and need to be taught. Clicker training can be used to do both. Clicker training works according to the basic principles of operant conditioning, by associating the sound of the clicker with a food item which the dog particularly likes. Now all you have to do is use the clicker to command the dog to do something, the dog, given that he associates the sound of the clicker with the food, immediately obliges and the training is complete. Let us take an example to illustrate the method better, suppose you want to teach your dog to sit, you put a cookie on your dog's nose playfully and then move it upwards, the dog will obviously follow the movement of the biscuit with its nose and will then naturally rest its posterior on the floor, thereby putting himself in a sitting position. Now time your clicking to be so accurate as to occur right as the dog seats himself, now give him the biscuit and praise him. Continue doing this for some time until the dog begins to associate the clicking with the food until the click makes him sit without you luring him with treats. Now teach him another behavior, but remember to attach the clicking cue only once the animal himself offers you the behavior otherwise the clicking will not be connected to anything in the dog's head and he will be confused regarding what it means. Your dog is one smart little animal and it's time you gave him due credit for that. A number of trainers have been known to use negative reinforcement techniques alongside the clicker method but this simply doesn't work because punishment at all times creates a number of unwanted behavior even if it serves the primary purpose of teaching the dog to not do something temporarily. Any kind of training is a strenuous and rigorous process and needs time and patience. Although clicker training method has a high success rate it might not work for certain types of dogs, if you see that it's not working for your pet you would be well advised to use some other technique to teach it tricks. Just like giving the best education for your children, taking your pet dogs to obedience training is also needed as they start to reach adulthood. Perhaps you are thinking to enroll them in an obedience class so they will become obedient in your home and even if you are taking them for a walk. However, indulging them to a school right away is not a good option and you might end up paying so much but fail to receive the best service from them. Thus, it is always important to research, choose a qualified instructor and good school for your pet. But keep in mind that not all animals are prepared enough to benefit from either a group class and some will benefit from a private training class. Thus, looking for a good trainer and understanding the type of service your dog needs is an important thing to know to gain success. Choosing the best dog obedience classes San Antonio can be a frustrating process. But with proper research, everything will go smoothly. Dog training is also an unregulated industry. For this reason, a lot of people can easily print their business cards and even market themselves as a professional trainer, psychologist or a behaviorist even they don't obtain proper education and experience. Therefore, it is important to the take time to find a good and qualified trainer. If you have a pet at home, look for a school which concentrates in socialization and behavior problem preventions. In this stage, the lesson will teach them to interact, socialize and prevent potential behavioral problems. Find a class that teaches them to build good exercises and skills. Basically, not all dogs are suitable for group sessions. There are some who easily learn from a private lesson and some can handle group sessions. Dogs with aggressive and destructive behaviors should be handled by an instructor in a private class. Canines with behavioral and even physical illnesses are also some reasons to find a private session. When you evaluate a professional to work with various behavioral problems, you must be selective all the time. Be sure to interview the trainer and ask for some references for a specific behavioral problem. If your canine has separation anxiety or aggression, then ask for possible references from clients who have trained their dogs on same issues. Being a first-time dog owner is not easy at all. You need to be specific to the needs of your furry friend. There are some that find it very hard to learn the basic commands such as sit and come. A reliable class in San Antonio will also teach you to command effectively and for the dog to follow you. This is an information that you should check right away because the trainer does not have those factors, you still have time to find other options. Once you got a reliable recommendation, make sure that they can handle dogs of all ages and everything from the basics to the advanced teaching. If you have a puppy that is still too young for these classes, obedience class would not be a good option, but it does not mean that you will keep on waiting for training. This is because there are private trainers who are more willing to teach your puppies. Read more about Factors To Consider In Choosing. Training puppies too early can be difficult. But, if you do not train him early, he will very quickly have the run of the house. Training puppies are necessary because it saves you trouble later. Most dog owners skip this because we all know that dog training takes some effort. If you could teach a puppy in a month, you would be happy. But training a dog well is a longer task. Just because your dog looks cute as a puppy do not let this deter you from training him early. In training puppies, there are some do’s and don’ts. Provide the puppy with consistent access to the toilet area. If you are training your puppy at home take him to his toilet area every 45 minutes or so. If you are not at home make sure you help your puppy make a few ‘mistakes’ as possible, by giving him a puppy friendly environment. Every time your puppy does something ‘good’, give him a reward. If he eliminates his waste in the toilet area, praise him and give him a treat. He will then recognize that his actions were right and aim for more because of the reward he will get. Make sure your rewards immediately follow the good action. Feed your puppy just like you feed yourself. If you eat regularly, set aside food for him. It is important to train your puppy the right time to eat. This will prevent him from begging for food from your plates. Be patient in training your puppies. Relapses will take place, but patience and perseverance are key. Remember your dog wants nothing more than to please you. After he is fully trained and it will be worth the while. Shout at your puppy when he makes mistakes. Especially when dogs are young as this can cause frights that can stay with the dog as it gets older. When house training your dog, don’t leave water and food out all the time. If he drinks a lot, he will urinate more frequently. You will have to allow for more mistakes to be made. Always watch the actions of your puppy and reinforce the good behavior many times throughout the day. It is not proper to let him run around as if he owns the house. If he does so, he will carry that attitude until he grows up. Remembering some of these simple tips can make your puppy a better-trained dog and a more enjoyable pet. Who Says You Can't Teach An OLD DOG New Tricks? To quote the rock band Chicago, they say it's a hard habit to break. Perpetually stereotyping employment, marriage, and singularity: Age is but a hindrance but not for long. With approximately 15 minutes of training daily for 2 weeks straight, according to The Animal Planet, even the most stubborn dogs will give in. 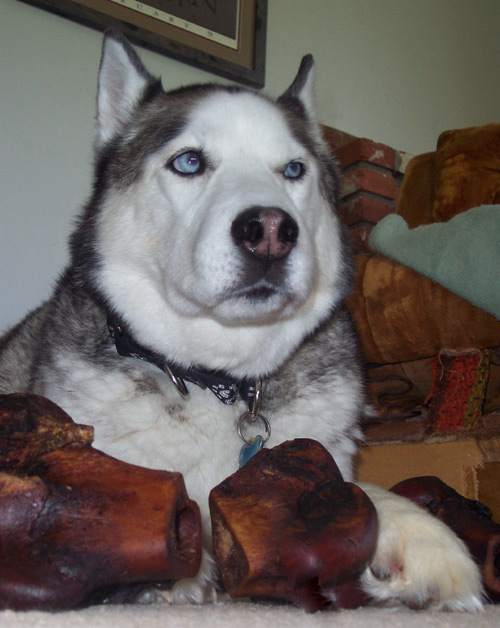 These enduring canines will sit, roll over, and do whatever your heart desires. All you need is a strong sense of consistency and a mouthful of patience under your sleeve. In order to make this a quick fix, the trainers (or owners) should develop a positive attitude. To feel frustrated and angry will not help at all. As a matter of fact, pets somehow feel how their owners experience; and that would not speed up the progress for even a bit. As for the owner's side, unreasonable expectations should not be made for their pets. Unlike children sent to school for a 12-year formal education to get the basics, it is quite irrational to invest an uptight 12-week course for your dog to acquire the desired behavior, and earn the respect and discipline needed. Remember: all relationships require a bit of work. It also involves recognizing the dog's previous training, then deciding on what certain applicable and viable changes are needed for a greater effect. You highlight the dog after a day's work with plenty of rewards such as treats, and verbal praises such as patting him on the head for doing a good job. Take it nice and easy, as not to shock and confuse the pet. It is necessary to change the behavior in small steps rather than a complete change all at one time. However, there is a difference. One has to put in mind that training an older dog is remembering that this dog has, most expected, to having been trained once. This means that it has an established thinking as to what acceptable behaviors are, and what behaviors are most not welcomed. It takes a great deal of endurance to train an older dog and should be at the very least regular to receive the best outcome. But do keep in mind that although the owner is the master, the dog still is an individual, as in it has its own personality; so a little give-and-take affiliation will not hurt. The key is to enjoy the whole teaching-an-old-dog-new-tricks activity, as you build a better relationship with him. That is the sole purpose of dog obedience training. What you give is what you get; therefore being the educator, you are responsible for the way your pet responds. Dogs are social creatures and are among of the most loyal. If you have a senior dog around who needs a bit of a push, do not fret; all you need is give your little furry friend some feisty motivation. Who ever said, you can't teach old dogs new tricks? That saying is meant to be taken more literally to humans, for we've got a lot of habits that are harder to break. For most people, dog obedience training is a difficult process. Well, it could be if you don't know the proper way to do it. Take note that it can also be stressful on the part of your dog and therefore the speed of his learning process will totally depend on how you execute the training. The human-dog relationship is something that needs to be enhanced. You should have a healthy relationship in the household so that both of you will feel secure. This training covers a lot of techniques and among them are positive reinforcement, clicker training, dog whispering, collar and leash, marker training, reward training, and a lot of others. Whether you plan to do it yourself or hire a professional, the main goals should be achieved. 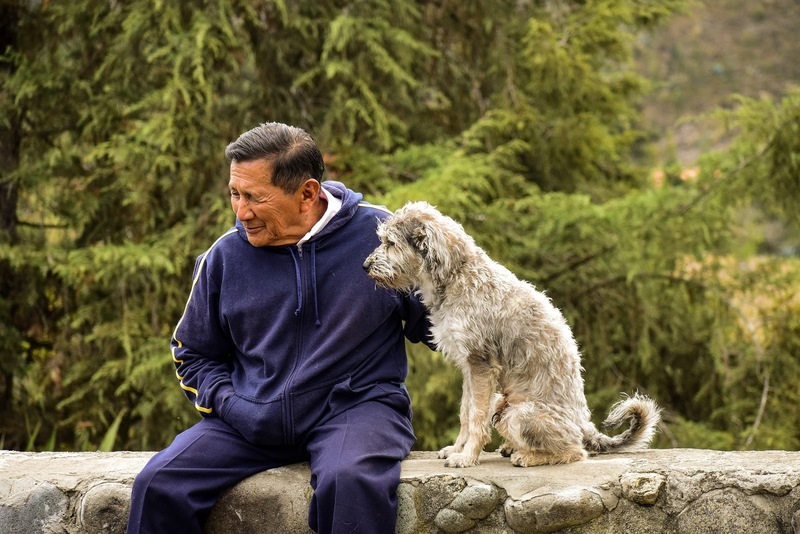 The main goals that have to be attained during the training include a clear line of communication between you and your pet, strengthen your ties, and spend more quality time with each other. Most behavioral problems such as digging, chewing, excessive barking, jumping up, and many others are likewise resolved through proper training. The training itself is composed of boundaries or rules which aim to educate your dog to become a responsible member of your household and be in control of his behavior. Basically, he will not be solely confined at home. There will be times when he will be taken out for a walk and it will not help if he will be unruly. Like human beings, dogs should be taught good manners. He should know how to properly behave in certain situations, at any given place, and at any given time. Training the dog to be obedient is one prime way to enjoy the company of your dog and one that will surely benefit you in the years to come. Here are a couple of advantages that you will definitely be happy about. The training will make life simple for your dog. It means his confusions will be eliminated and he will be more aware of his good and bad behavior. It is a rewarding experience. During the training, your dog will have fun learning. If you will do it by yourself, it is likewise your best chance to spend quality time with him. A trained dog is a confident and happy dog. He is then a pleasurable creature to have around. The dog will have more freedom. A trained dog can be left alone unsupervised because you are confident he will not be causing nuisance in your place. A dog that has gone through obedience training is safer. He will not threaten other people and animals around him. You will be able to respect your dog just like a true family member and companion. Overall, the dog obedience training process may take time and it requires you to be really patient at all times. So always be consistent and don't fall short of rewards and praises as well as punishments whenever necessary. Some people choose a career in dog training simply because it is a popular choice, however, there are those who are really passionate about canines that their life's direction has led them towards loving dogs even more. Do you fall in the category of people who pursue a career in dog training just because someone said it is a good thing or you have fallen so in love with dogs that you are left with no option but to fall even deeper? Dog training is more than a love for dogs; it also requires knowledge and skills in handling and disciplining them and knowing the basics of their behaviors. Dog trainers usually have a long history of experience with dogs and interaction with many dog owners and handlers and their pets. What is your "dog division"? There are two types of careers in the dog world- the pet service training and the dog training. Both have relatively high demands in the market but there are a lot more opportunities in pet dog training than service training. The pet dog training usually involves dogs that function merely as pets and as companions for outdoor activities, therefore, the usual training involved are obedience training, agility training, potty training and training to eliminate unwanted behaviors like barking and biting. Service training, on the other hand, involves specified training on services required by people with disabilities and those undergoing therapy. Another division of service dogs are involved in chasing criminals, drug and bomb sniffing, search and rescue dogs and hunting dogs. These are highly intensive training and require the handler to get sufficient preparation to lead the dog in employing its specialized functions. What do you really know about dogs- their thinking, their behaviors and their reaction to stimulus? Training adheres to conditioning the thinking of the dog to make specific responses. You should also know well the fundamentals of associative conditioning. What about dog training education? A dog training career requires that you have basic skills in dog training and handling. There are no degrees in dog training yet for there are no colleges and universities offering such. However, there are dog "academies" or "schools" that could provide basic training. However, the best dog trainers are often self-taught and have a natural inclination to dog handling. Some have apprenticed with excellent dog trainers while others simply have the knack in training dogs. There are also a number of dog training organizations that could supplement the latest information on dog training. Dog training involves training the handlers of the dogs as well. Therefore if you are pursuing a career in this field, it is very important that you have good people skills and that you can tolerate all types of people. There are impatient owners who expect fast learning from their dogs without taking advice openly while there are those who relatively open to suggestions. You need to cater to both types of dog handlers and everyone in between. In short, a career in dog training is not only limited to dog training but also an experience of people training as well. Dog training is not limited to "training" alone; there are also certain aspects that you should be knowledgeable of like maintenance of proper dog hygiene, nutrition and grooming. You should also have good knowledge of dog competitions, accessories and training aids. You should also be able to distinguish different dog breeds and their fundamental differences. You don’t have to be a guru in dog training to be an excellent trainer; you only have to develop certain skills necessary in handling dogs and their trainers and to have sufficient knowledge on theories and the capacity to put them into practical application. Who really is the BOSS in your house? People let me tell you ‘bout my best friend, he’s a warm boy, cuddly toy, my up, my down, my pride, and joy. People let me tell you ‘bout him he’s so much fun…………. If you’re old enough to remember that theme song – let’s get together for lunch and commiserate. If you’re not, it’s from an old TV show called “The Courtship of Eddie’s Father,” and you should seek it out on DVD. The point here isn’t nostalgia, though. It’s a cute theme, but it’s not good parenting – of children or dogs. Dogs are pack animals and need leadership clearly defined. If you don’t take the lead, Muffy thinks she’s in charge. And Muffy has absolutely no clue how your household should be run. You can be absolutely certain that if Muffy rules the roost, everyone’s going to be miserable. You won’t be able to eat, sleep, or live in peace. On the other hand, if you’re in charge, Brutus is going to be a happy camper. Teach him the rules and insist that he lives by them. It works. The most difficult dog we’ve ever had is a Boston Terrier. She’s a sweet dog, but her wiring is tangled. A friend of mine who works in a social service agency likened her to a child with Attention Deficit/Hyperactivity Disorder. We have developed a strict schedule for her and we stick to it. Given the opportunity, she would play constantly, whine when we didn’t indulge her, and generally make life difficult. She does get to play fetch – when we decide it’s time and for as long as we choose. We have a special timer for play sessions and when she sees us reach for it, she sits and cries for her special ball. We get the ball from her special shelf and throw that ball, without interruption, for as long as that timer is going, sometimes just five minutes, or as long as 15 minutes. When the timer beeps – that’s it. The ball goes back on the shelf. Playtime is over. It took a while for her to adjust, but now she hears the beep, drops the ball, goes to get a drink of water and then finds a place to lie down. Our dog is an extreme example – but a valid illustration of the concept. When guests come over, she is allowed to greet them, but not jump on them, harass them, or drown them with licking (unless they invite it). After she’s given the opportunity to say hello, she is confined to a crate in the same room, with chew toys to occupy her, where she can see and hear everything. We’re able to have a nice evening with our company and without worrying about the dog ruining the gathering. It may be easier to “give in” to your dog’s whining, begging or bad behavior. It’s also a recipe for disaster – most dogs who are given up or abandoned lose their homes because of behavior problems. It’s never too late to train a dog – they can always learn new tricks – and the most valuable trick of all may be learning to sit quietly. That’s a good place to start. Put on your dog’s leash and collar. Grab a handful of treats. Go sit down at the dining room table. Tell your dog to sit next to you sit on the leash. Read a magazine for five minutes. Have someone join you for a conversation. Drink a cup of tea. When Zeus is good, say “good quiet” and pop a treat. Ignore him if he whines. Try it for five minutes today. Maybe six or seven tomorrow. Don’t push it too far – you want him to succeed. Reward like crazy when he’s good. It’s a first step in taking control of your dog and your life. Obedience training is described as dog instructions. It usually ranges from the basic methods including how to teach the dogs to respond to basic commands like come, down, sit and stand. They will learn how to be accurate, perform and learn additional orders which are judged. This implies a particular compliance with any command provided by their handlers. Teaching a dog in obedience is also an ongoing process which will depend on the skills, methods and understanding the dog. The amount of instruction that a handler desires will be accomplished depending on his patience and abilities. This only shows a certain commitment in teaching through everything is not easy. Usually, dog obedience training San Antonio is known for its ability to improve the skills of these animals. Basically, the actual teaching is done and given by the owner, a friend or the trainer. The person who cares and lives with the pet can also participate and trains their dogs, as they have the skills to give commands. The trust and relationship between the owner and the dog are important variables to obtain success. The basic obedience is a short program ranging from 6 to 10 weeks. For these terms, the handler will demonstrate better communication with their trained canine and respond or follow some of the basic commands. Historically, working dogs have always learned to obey directions and commands related to their work. There are certain breeds such as Golden retrievers have the reputations to be easily trained than other breeds. Basically, breeds that are used for any breeding process may find it hard to cope up with the lesson. The intelligence of these dogs is also shown in several ways. For beginners, owning a dog might be hard. Thus, there are factors to consider when you choose a pet. These include exercising activities and energy level. Smart canines are not a good choice for home pets. This is usually because these dogs need extensive mental progress. If you fail to give them the exercise or the activity they need, they might show destructive behaviors which cannot be controlled. Take note that no breeds are impossible to train. It depends on how you handle the situation and how you give them the appropriate instructions. For owners who enjoy competition in San Antonio, TX, competitive obedience trials are so much available out there. Canines can earn titles which include the championship. In a competition, lying down, sitting or walking are not required. You and your four-legged friends must perform unique and defined manners. Basically, there are different reasons for this teaching to be done. Animals competing in agility sports or fly ball should be trusted in an open field or a place where people are found and other people. This way, they will become more focused on the activity they have. Basically, it is the responsibility of the owners to teach their canines with good manners. Even if the puppies are still young, you can already teach them simple commands. Teaching them can prevent bad behaviors to occur when they reach adulthood. This instruction is required to make them more obedient and to respond to the commands. You can get a complete overview of the factors to consider when choosing a provider of dog obedience training San Antonio classes at http://wetnosetraining.com right now. Dogs are intelligent creatures, and they love a challenge. As the aforementioned kennel clubs are well aware, every breed has its own strengths and assets, both physically and intellectually. It's great fun to explore what your dog can do, and even train for competitions! Even if you train your dog on your own dog agility course, and don't wish to be affiliated with any groups, it's still a good idea to stay in touch with them via phone or e-mail to stay aware of any events that may be happening in your area. Dog owners are a great group of people and love to share advice and success stories. Dog agility events are also a great way to get outside and meet and greet other great pets. Agility competition for dogs became popular all over the world in the 1980s, and agility enthusiasts have been looking for top-notch dog training equipment that is better looking and more durable than home-made obstacles, while still being affordable. This high-energy form of competition and fun is something that can bring people and dogs together in a spirit of excellence, and we interact with our customers accordingly. Some of the dog training obstacles include A-frames, dog walks, weave poles, mini contact equipment, contact trainer, jumps (single, double, and triple), chutes, barrels, and teeters. Everything you need to set up a competition course should be easily ordered and quickly assembled. Your dog training equipment should be durable enough to withstand practice session after practice session with no risk of injury to you or your dog. Equipment should be made out of durable, well-sealed materials that are weatherproof and built to last. Safety and visual appeal are what matter in dog training equipment. In the U.S. alone, more than 30 million people each year take their pets with them while camping. Yet, when we first started RVing with our dogs, we were unable to find much written on the subject. Sure, there were the occasional articles in magazines that reminded us to use pet ID tags, bring plenty of water, and take their favorite toy. But in terms of providing genuine support or bottom–line information, there was nothing out there. Since it was something that we felt was badly needed, we decided to write this article. 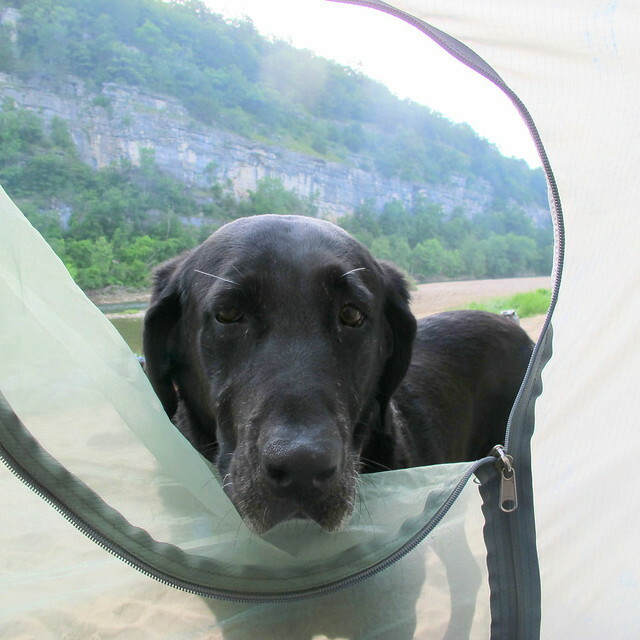 While there are numerous issues to consider while camping with dogs, these are some of the most important. It’s one thing if your dog gets free in your neighborhood. It’s another when you’re at a rest stop, nine hundred miles from home. Either train your dog to come when called or make absolutely sure that they’re on a leash at all times. If your dog gets into an altercation with another animal (or a person), the central issue will become their rabies shots. If you stay at a campground that has a demanding pet policy, you’ll need to verify your dog’s vaccination records. If you cross into Canada, you’ll have to confirm that your dogs have had their shots. You get the idea. If your dog does get lost (unfortunately, it happens all the time), the ability to easily identify them will become critical. For permanent identification purposes, consider tattoos or microchips. At a minimum, make sure they wear tags that show their name, your current phone number, and the date of their last rabies vaccination. The biggest complaint about dogs has nothing to do with their bark, their bite, or their behavior. If you pick up after your dog, you’ll be helping dog owners everywhere. If a medical crisis occurs while at home, you drive to your local veterinarian. But if you’re heading down a dark highway in a strange town, it will seem like a bad dream. Although there are ways to get help while on the road, it always takes more time. In the meantime, your ability to provide competent first aid could save your dog’s life. If you really want your dogs to have a good time, include them in your activities. Take them with you on long walks. Buy a cheap plastic wading pool and let them play in the water. Throw a ball. Cook them up a hamburger. If you do stuff like that, they’ll do cartwheels the next time you decide to take them camping. Even if a park claims they’re pet–friendly, always call ahead to confirm their policy regarding your dogs. We’ve arrived at parks (with our two German Shepard dogs) after a long day on the road only to discover that “pet–friendly” meant dogs weighing under 20 pounds. Have a plan (for your dogs) in case of a flat tire, a serious accident, or a fire in your RV. Start with a few extra leashes, a pet carrier, and an extra fire extinguisher. Then have a fire drill to identify potential problems. The U.S. is a huge country with a vast assortment of dangerous wildlife, treacherous plants, unpredictable weather conditions, and demanding environmental challenges. If you don’t know what you’re doing, you might inadvertently be putting yourself and your dog in danger. While some of us can’t imagine traveling without dogs, others can’t image traveling with them. If you keep your dog under control and clean up after them, you won’t give others much to grumble about. My Springer Spaniel has gotten a little more resistant to the come command when she knows it means "Get in the kennel." At night, she goes in between nine and ten. And like clockwork, she wakes me up at 2:00 am. I am sure I have started a bad habit, but I am afraid the neighbors are being disturbed. She still digs once or twice a week during the day. It's like she goes into a panic after 4 to 5 hours in the kennel. When you say kennel, you mean a crate-- for at night, right? If not, then this is where she should be sleeping at night. Put her in the crate and then give her a cookie. This will reinforce that going into the crate is a positive thing. 2. For the outside kennel, buy some hardware mesh or chicken wire and put it under the entire kennel run and then put about an inch of dirt on top of that. Dogs don't like digging and clawing against this type of material. 3. Increase her exercise regimen. Buy yourself a bike and take her for a 2 mile run each day. It's good for you, too... and it will work wonders in reducing your dog's boredom. That's all for now, folks! Puppies are eager and willing to do the right thing. They love your happy face and the squealy noises you make when they have done something great. They will do ANYthing to please you because of the loving rewards they get from being a Good Dog. They just cannot get enough of your praises and cuddles. 1. Be consistent in the words you choose to teach him commands. If you say, "Wanna go potty?" in the morning, and "Have to go out?" two hours later, and "Wanna go pee?" two hours later, etc., then that is THREE phrases you have asked him to learn in one day instead of only one. Decide which words to use, and make sure everyone in your family uses the same ones. 2. Use his name in the command if you want action, do NOT use it if you want him restricted from an action. This is very important. Hearing his own name makes a puppy leap into action by his very nature. When you want your puppy to come, say, "Puppy, Come!" [insert his name instead of the word Puppy, of course] When you want him to lie down, simply say, "Down". 3. Do not confuse your puppy with the same words for different commands. If you are teaching him basic obedience, the word "Down" means LIE down, usually followed by "Stay." If you don't want him on the couch, do not say "Down", say, "Off." This word can be used to keep him from jumping up into your lap, onto the couch, chair or bed because it is the ACTION of jumping up you are trying to restrict. Saying "Down" when he jumps onto the couch will just make him lie down on the couch! See the difference? 3. Do not ever hit your puppy, you don't need to. The worst punishment he ever needs to learn a lesson is your sad frown and walking away from him. One or two minutes is the limit though, do not overdo this. After a minute of ignoring him, give a command he knows well and praises, praise, praise, with a big smile. These three tips, used with gentleness and consistency, will teach your puppy all the words he needs to know to be a happy and obedient companion in a matter of days.